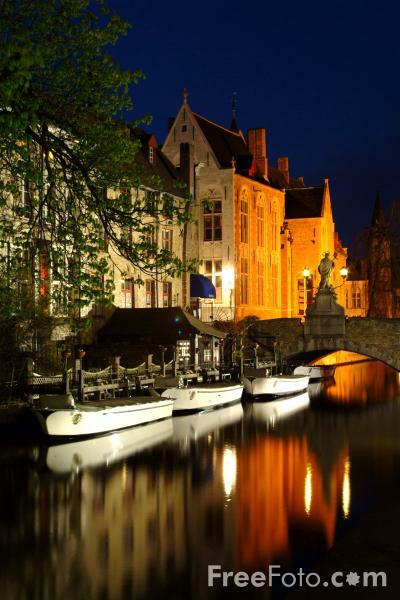 Photographs of Bruges at night. Here canals and waterways meander under humpbacked bridges through winding streets of gabled houses to make up the delightful city of Bruges. VIEW: More images from the category Brugge / Bruges at night or taken at the same location or around the same time .